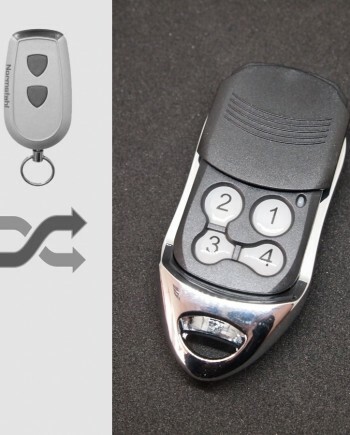 An aftermarket compatible remote, perfectly replaces your plastic GIBIDI remote control, works where GIBIDI DOMINO works. 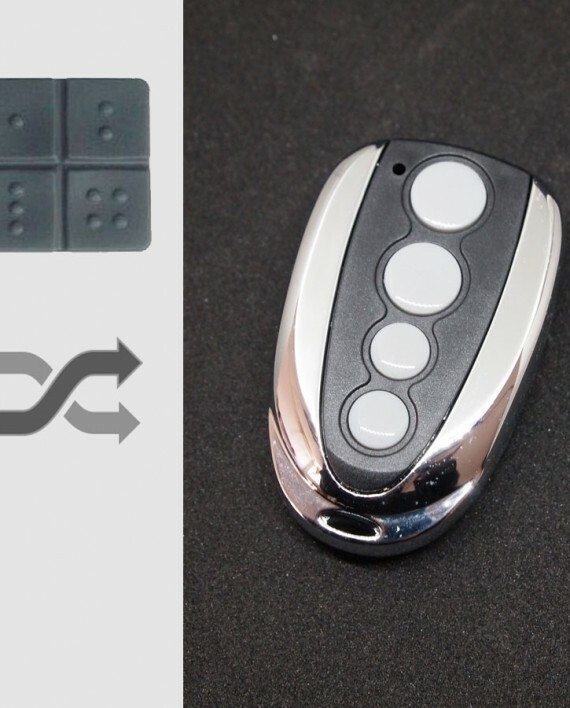 Wondering if it works same as GIBIDI DOMINO remote? Watch our video showing how we program it to GIBIDI standalone receiver. 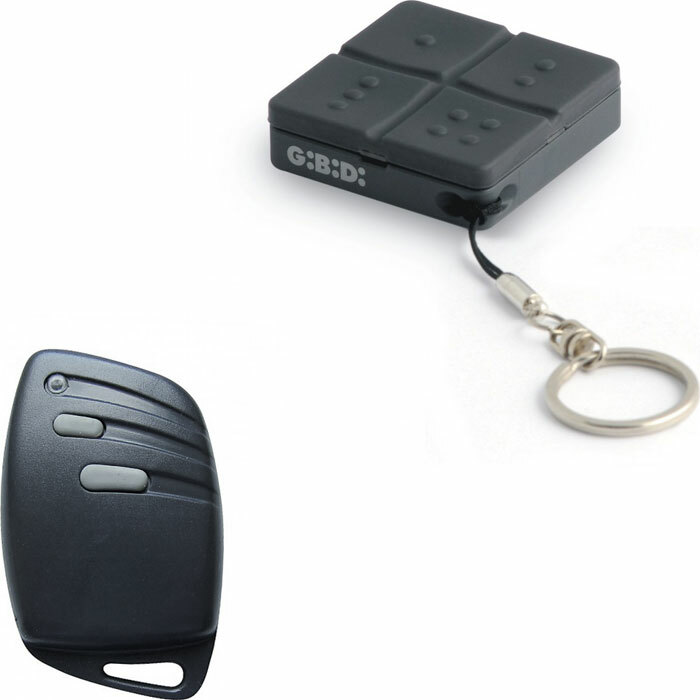 Our GIBIDI #G1 compatible remote replaces many GIBIDI remote control models including genuine GIBIDI DOMINO key fob remotes, as well as other GIBIDI remote models such as AU01590, AU1600, AU1610, AU1680, AU1680 Wood, AU1810 etc. Compatible with almost all current GIBIDI gate & door operators includes ART, BL233, BL240, FLOOR, GROUND, KUDA, TOP swing gates, PASS 600 – 800, PASS 1200 – 1800 – 2500, SL 300, SL 800 sliding gates, TOUCHE 100, TOUCHE 200 rising bollards, BARR500 barriers, AUTOBOX, MODO500, TAIMEN garage door openers, MPS rolling shutters, and all control units used in above models such as BA 24, BA 100, BA 230, BR 24, BSC 24, CB 24, CB 25, CL 100, F4 PLUS, PC 200, SC 24, SC 230, SC 380, SR 100, TAIMEN and TL 100 control boards, as well as other standalone receivers made by GIBIDI. Not compatible with some other GIBIDI remote control models using old 26.995 MHz or 40.685 MHz frequency, such as MTQ2 26.995, MTQ4 26.995, MTQ2 40.685, MTQ4 40.685, PASS TMB40, also not compatible with some other old fixed code 433.92 MHz remotes, such as MTQ2 433, MTQ4 433 & AU01600-FM. 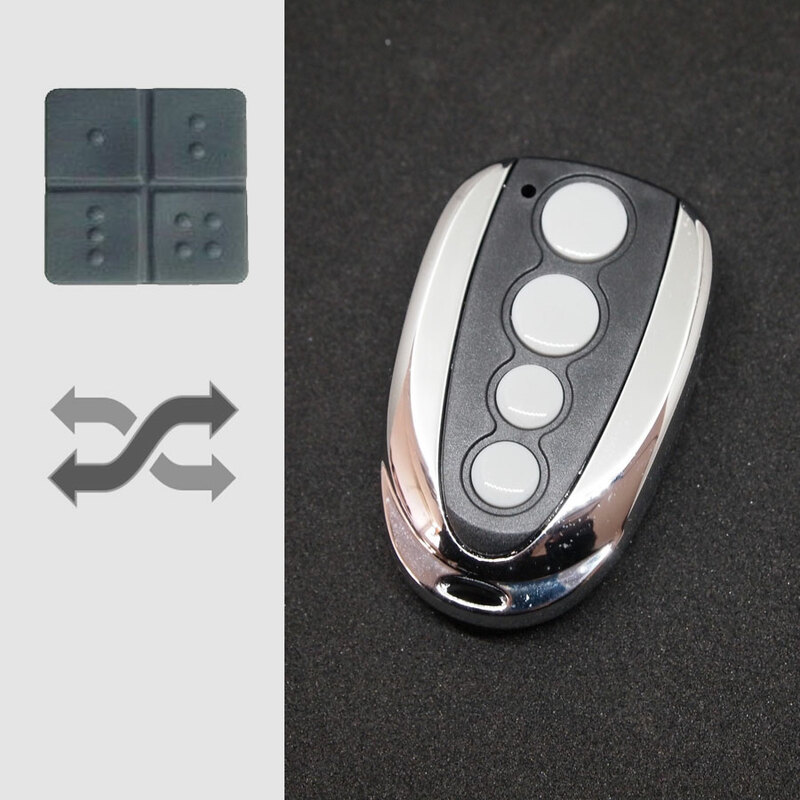 GIBIDI remote controls are made by GI.BI.DI. S.r.l., an Italian company that produces professional automatic devices for gates and garage doors more than 40 years since 1972. GI.BI.DI. mission is freedom of movement for all, end users, sellers, installers, its constant growth during 40 years is evidence of excellent quality of its products. Based on our marketing research, the best-selling GIBIDI remote control models is GIBIDI DOMINO because currently DOMINO can be used in all current GIBIDI automations, and GIBIDI only produces DOMINO model remote control now. DOMINO is reliable and user-friendly with its ergonomic small buttons, it can be easily attached to your key ring or secure it in your car using the fastening system included in the blister pack. 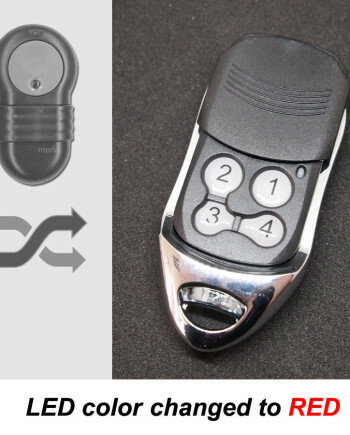 With the nifty accessories you can personalise your remote control in your favourite colour, in fact, the covers are easily interchangeable in just a few seconds. DOMINO is the modern way of using the most advanced safety devices. 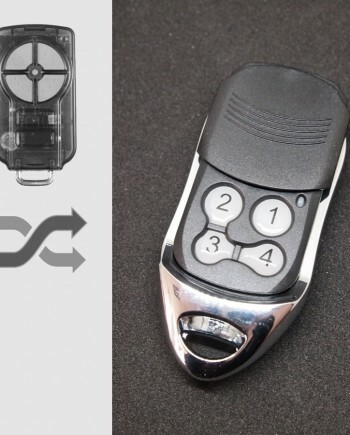 GIBIDI remotes code are stable during years and newer remote control model such as GIBIDI DOMINO just replaces old model such as AU1600 and is fully compatible with each other, customer can easily upgrade to new remotes without any receiver’s change. 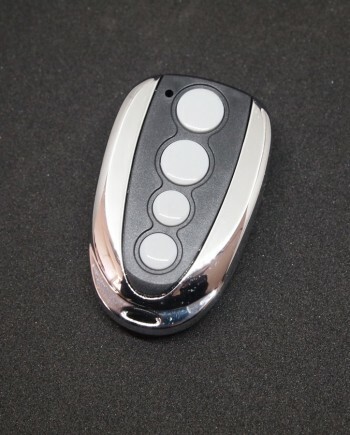 GIBIDI brand remotes are widely used in European countries, such as Italy, Germany, France and UK, so there are many locksmiths, garage door opener & gate remote dealers need GIBIDI remote controls in this region. 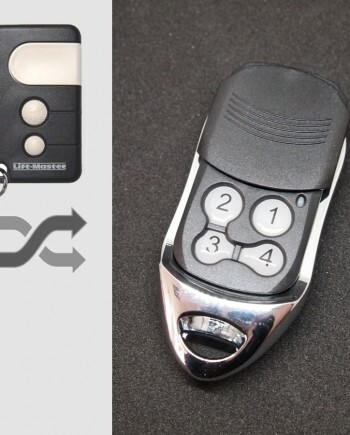 Official GIBIDI DOMINO remote control programming guide is available on GIBIDI website, you can find it on your door opener’s owner book as well as this link to official manual is here. Watch programming video for GIBIDI DOMINO on YouTube, our replacement remote works the same as genuine GIBIDI DOMINO remotes, so they share the same programming procedure. We make GIBIDI DOMINO compatible remote in our factory in China, so we know our products better than anyone else in the world. We’re confident in our engineering team & quality control, actually our GIBIDI compatible remote uses the same key components as genuine ones. 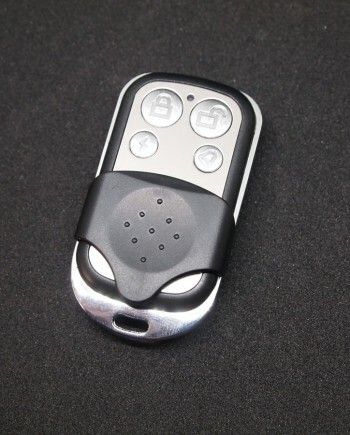 Comparing our factory-direct low price with high price of genuine GIBIDI remote, you can have considerable profit by selling our products. * Our GIBIDI compatible remotes are white label products with optional logo printing service for bulk orders.